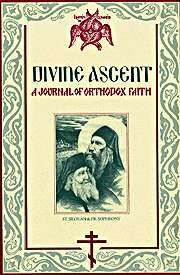 Divine Ascent is a bi-annual publication which includes articles, interviews and book reviews to help the Orthodox Christian live out his or her spiritual life in Christ. Please indicate in the comment section when checking out which volume you would like. We currently have volumes 7, 8, 9, 10. If you would like more than one volume, please place the number of volumes you would like when ordering.